Why is Blended so dang funny? 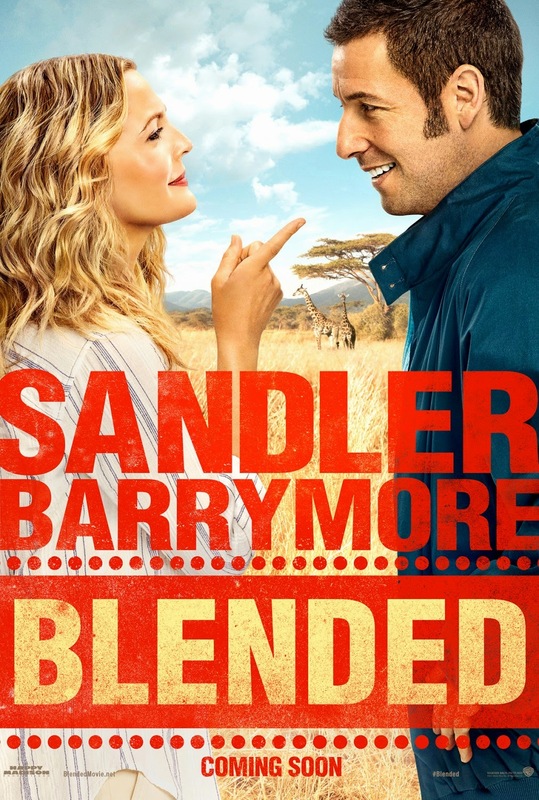 Blended is the family movie everyone needs to see this summer. Now we all already know that Adam Sandler and Drew Barrymore go really well together from previous movies they both were in, The Wedding Singer and 50 First Dates, however Blended is the best one yet. This movie was on the same level as Just Go With It, only Blended had funnier lines in the movie. Now because this is a Adam Sandler film, all of his good friends will show up in the movie. Terry Crews, Kevin Nealon, Shaquille O'Neal, Dan Patrick, and Allen Covert are some of the typical friends that Adam Sandler include in his movies. When you add all of these people and Adam and Drew you get a goldmine of comedy. Terry Crews is someone I want to watch out for in comedy now. This movie made him appeared so funny. Every second you will laugh non stop while he is on screen. You will want to see more of him for sure. Something a lot of people don't know is that Adam Sandler employees his family. Usually when a movie is made they get a bunch of extras from the city they film in to put in the background of the movie. When if you look hard, you will see Adam Sandler uses his daughters and nephews and others as the extras in the movie. Don't believe me? Click this link HERE to go to Blended's extra cast and scroll down. You will see. Make sure you stay during the credits for a funny dance scene. Nothing. This movie is actually pretty good. If I had to think of one thing, is add more Terry Crews. He was so funny in this movie. They could have used him more and people would still laugh at the character he played.